Whenever dessert can be interactive, that's a plus in my book. I love dishing up sweets that will make people feel special, and for me, that doesn't always mean handing out slices of cake. I'm talking individual desserts, all dressed up for one with an element of surprise. I live for that sort of thing. This is one such recipe. 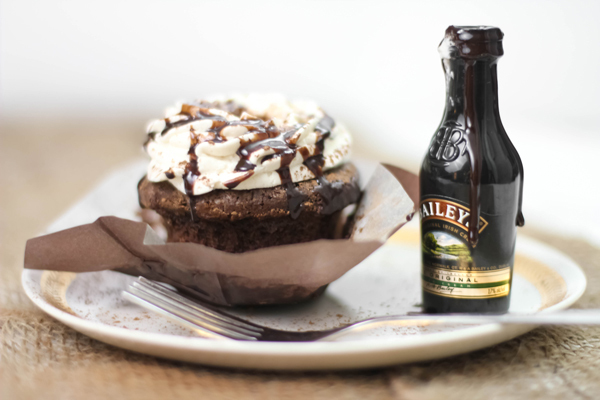 It yields 6 muffin-sized cupcakes, and you'll need 6 mini bottles of Irish cream to make them. 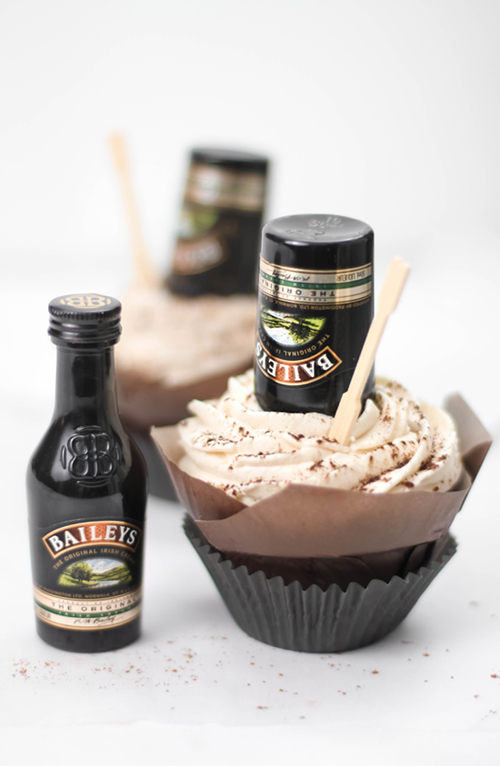 The Irish cream is used to flavor all four elements of the cupcake - and my favorite of all is the homemade hot fudge sauce that sits atop the frosting in an upturned bottle. The trick to getting the sauce to stay in the bottle is to insert it directly into the middle of the cupcake and down into the ganache. The ganache acts as a bottle stopper. You may want to serve these with a wooden pick on the side in case the ganache clogs the bottle mouth. It's less prone to happen if your hot fudge sauce is, well - hot. I use a skewer in the video because my bottles of sauce had gotten cold while hanging around during filming. With a bit of help, they still pour just fine cold too. I remember learning the colors of the rainbow as a kid in piano class. It was one of the first lessons in my primer - a song titled "Roy G. Biv". Just saying it takes me back to that ticking metronome. I'm tapping out a few rudimentary notes that are supposed to resemble a song about rainbows. I must have played that little ditty a hundred times before getting it right! All these years later I still remember the simple words to that song. It was stuck in my head as I frosted these cupcakes in the same sequence of hues. 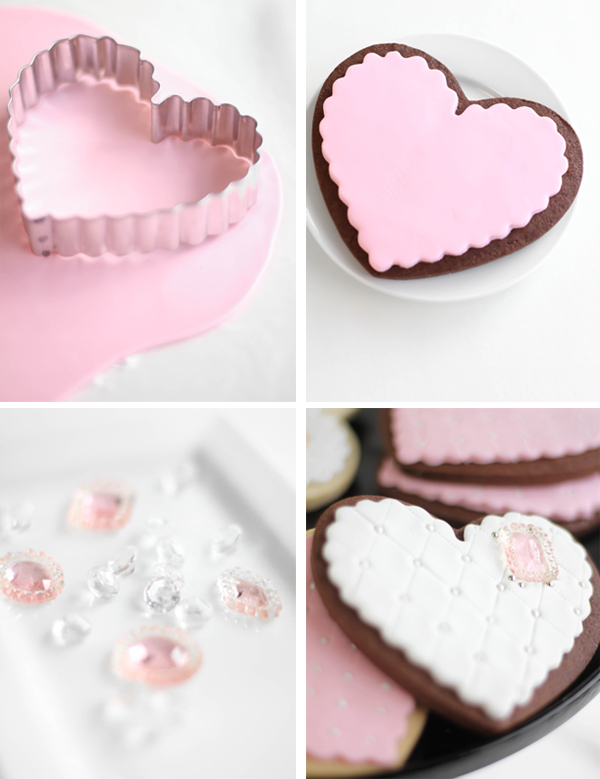 The idea for these came from a nice big box of goodies that Wilton sent me. Inside was a book all about cupcakes and other fun things like colorful batter mix-ins and candy sprinkles. 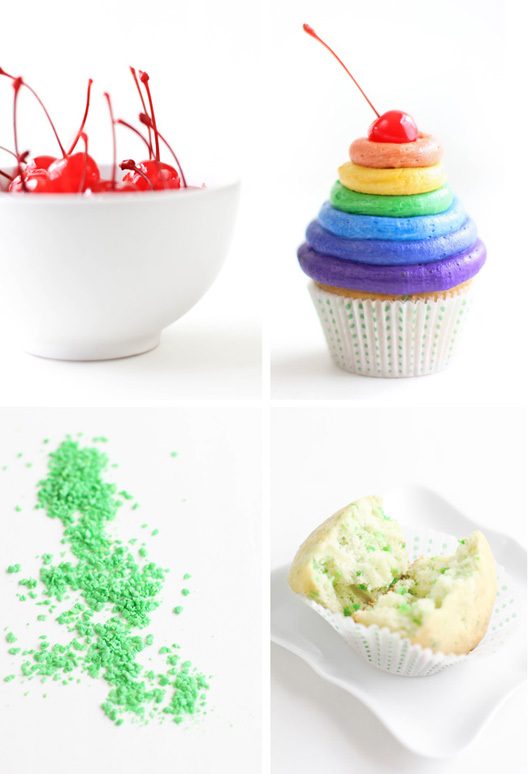 I thought the green "batter bits" with rainbow frosting would make a great St. Paddy's day treat. But heck! 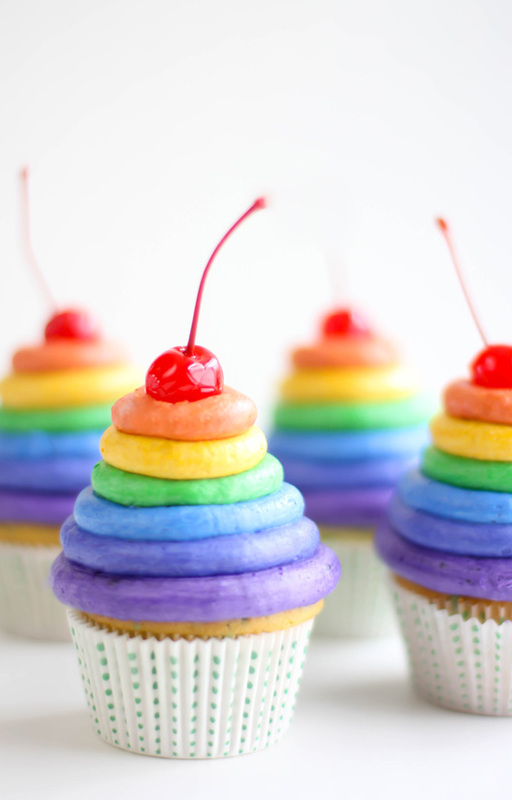 They turned out so cheery, I'd make them anytime someone needed an infusion of sugary happiness. Talk about a pick-me-up! My friend Darla of Bakingdom is having a birthday today! She's not afraid to wave her geek flag high. She hates spiders as much as I do (okay, clearly more than I do). Without a doubt, her heart beats for artistry in sugar. She agrees that pink is one of the four major food groups. Now, I could list about a dozen more reasons why I love her, but I'll name just one more. She's a fellow browncoat. A Firefly fanatic. And if you don't know what that is, then Darla will tell you all about it here. 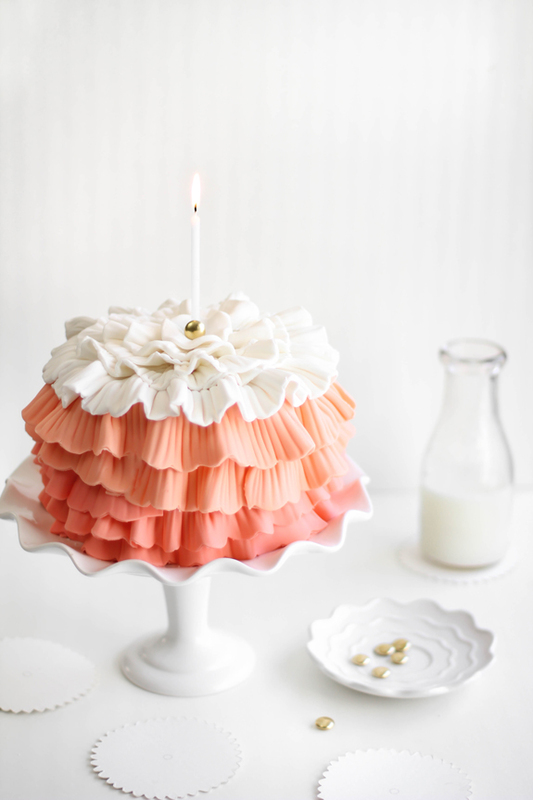 The inspiration for this cake is taken from Kaylee's dress in the "Shindig" episode, and Cap'n Tightpants even calls it a "layer cake" when they are at said fancy shindig. I'd have to agree! 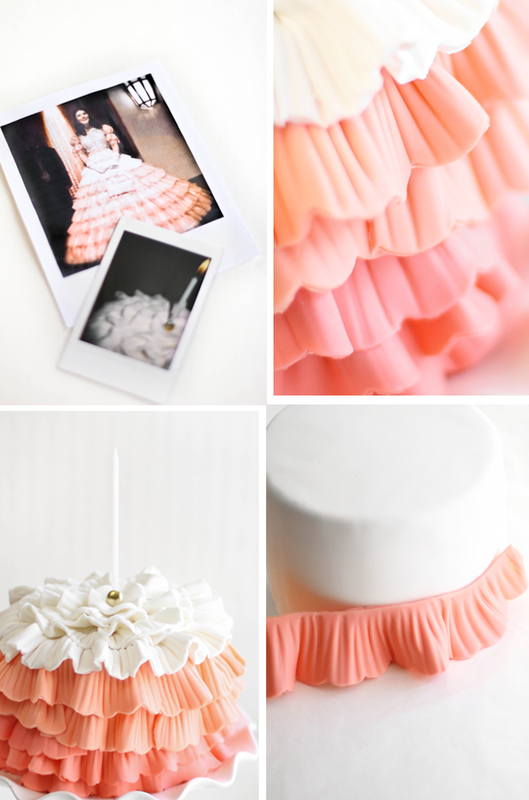 It's a confection made of satin, and just as sweet as the person who wears it. 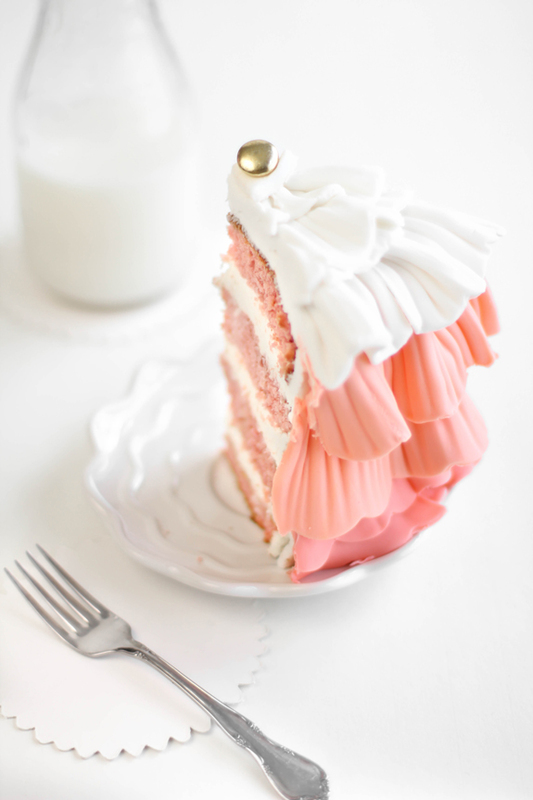 This cake is appropriately strawberried through-and-through, and there's a gold button on top because, well, shiny. 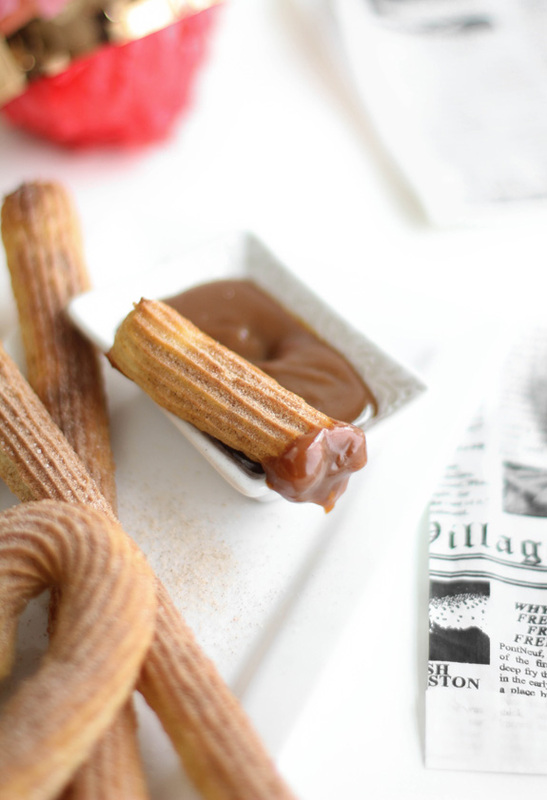 We've already been celebrating this week with one of our favorite sweets - churros! It's almost unbelievable that it's taken me so long to blog about them, considering our dog is named Churro. It's true, we love them that much! 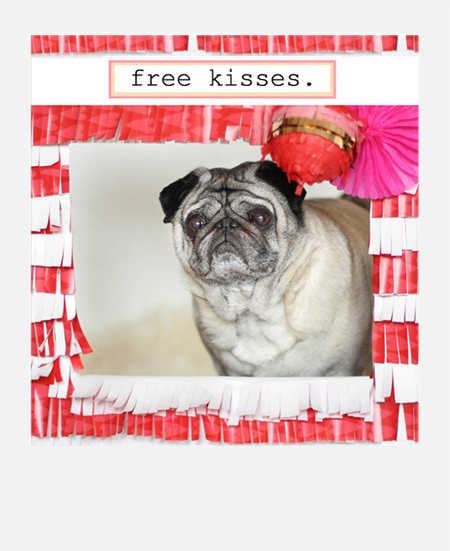 And we love our little ridged-face Churro-the-Pug. 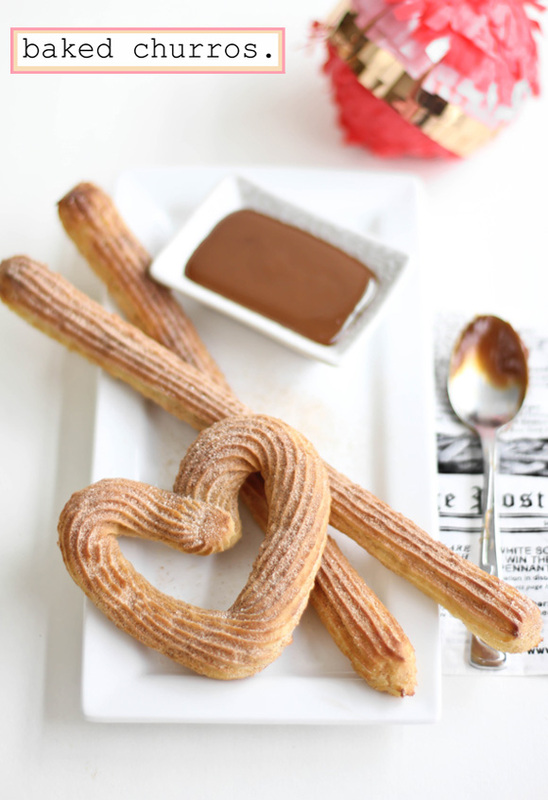 These are no ordinary churros because they're baked, and at first, I wasn't sure such a thing could be done considering they are so wonderfully crisp when fried. It took a few test-runs (and the endless brushing away of cinnamon-sugar from my shirt front) but now the recipe is ready to share! 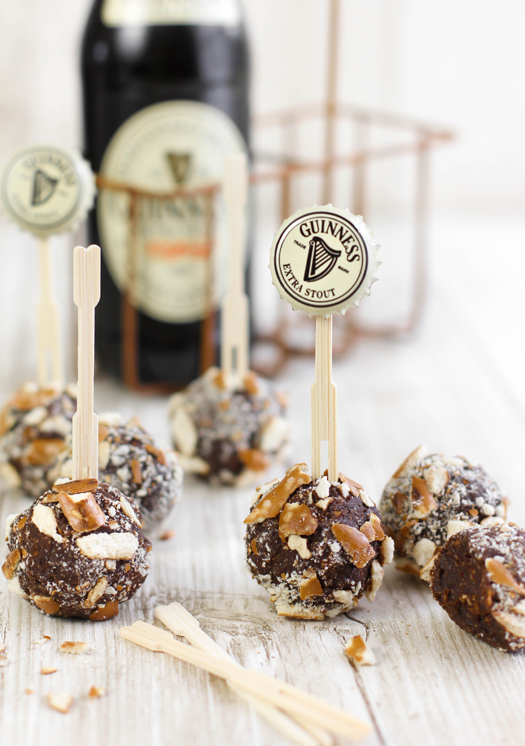 I'll usually wait until March to start parading around ale-infused sweets, but since beer-flavored truffles make a great Valentine's Day gift for the guy in my life, exceptions are made. 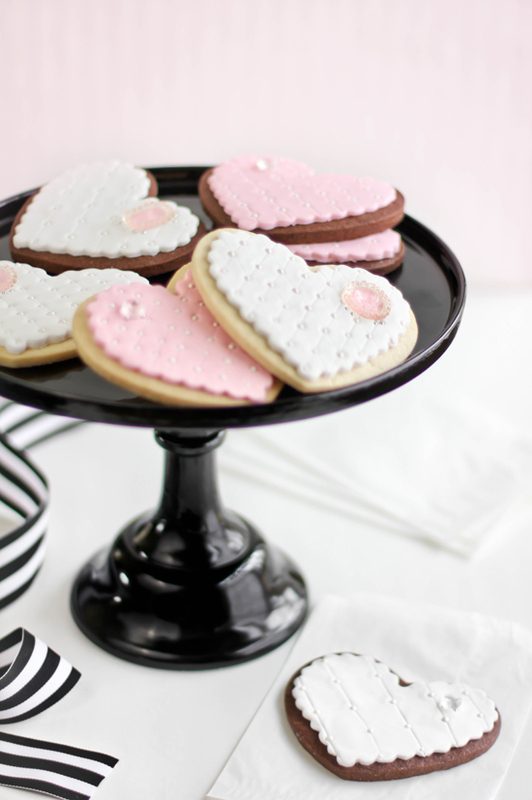 Plus, a thought occurred to me while watching my Grizzly Adams-bearded hubby eat a heart shaped cookie - maybe he deserves a break from all the pink and frilly that comes from my kitchen. Frequent readers will find this a familiar flavor combination. 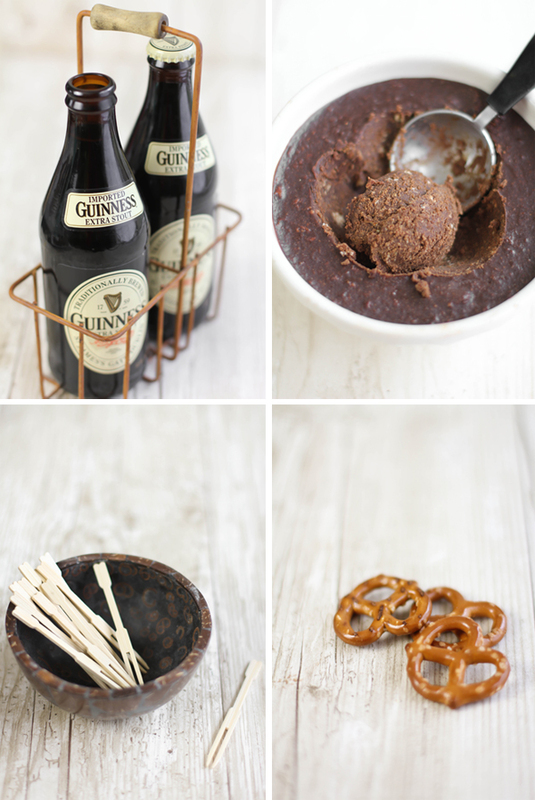 There's something about the deep malty flavor of Guinness paired with chocolate and that crunchy, salty last bite of pretzel that just does it for me. What's better, these are a snap to make so there's no good reason to turn up empty-handed on Valentine's Day -or even St. Paddy's Day. Today on The Etsy Blog, I'm sharing one of my favorite truffle recipes, ever! It's adapted from Julia Child's Amaretti Truffles recipe, and with the bunches of step-by-step photos we've put together it's nearly fool-proof! 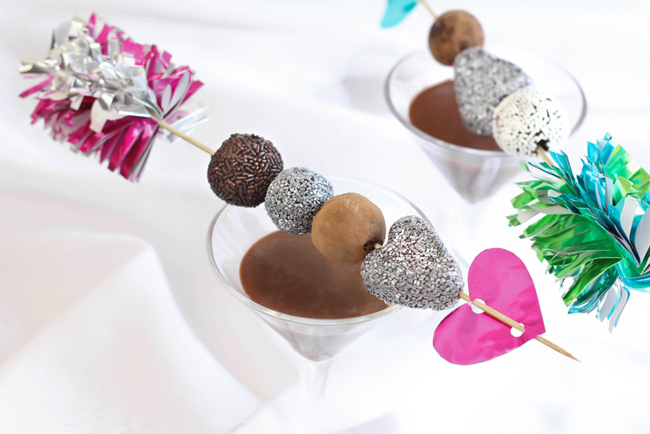 I also show you how to make these paper-party-inspired Cupid's Arrow skewers. 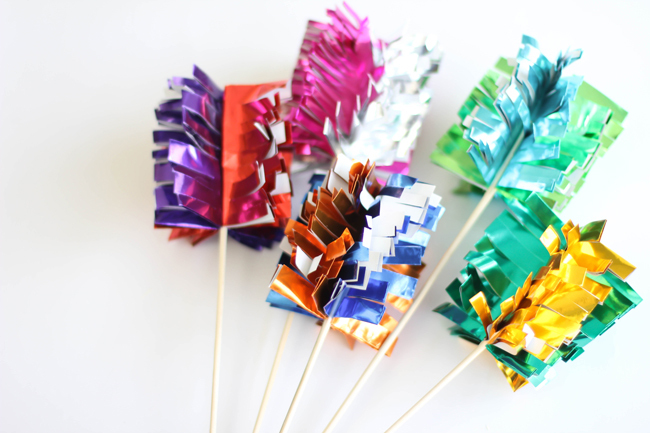 They're so simple and there's no gluing involved. 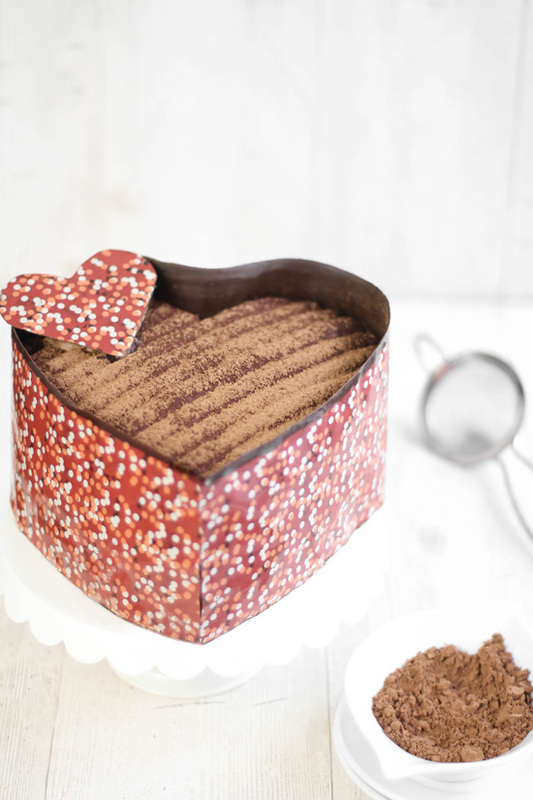 Easy peasy for those with not much time to plan a fancy Valentine's Day dessert. Find instructions for all of the above HERE! Diamonds and pearls are usually given in jewelry boxes for Valentine's day, but this year I'm giving them in cookie tins! These faux precious stones are made of sugar and entirely edible. 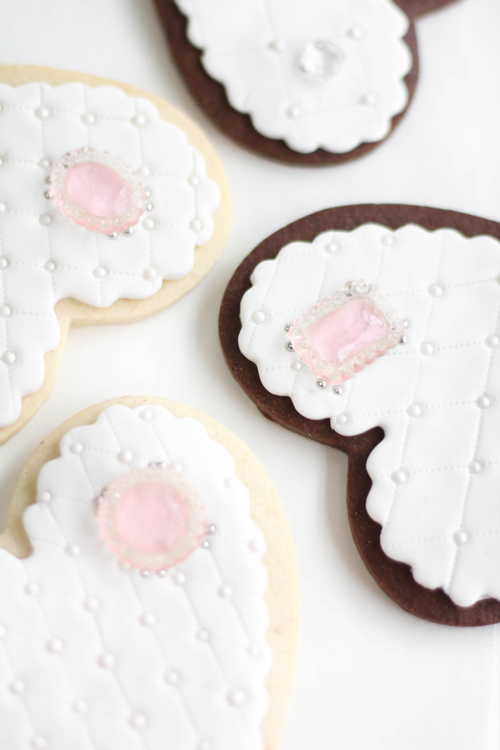 The jewels came from a favorite online baking supply shop (here). They'd catch my eye every time I browsed the edible decorations section and I'd always wondered if they were as pretty in person as they were in the pictures online. Boy, are they ever! The large jewels are $15 for eight, or you can get sixteen clear diamonds for the same price. I think they are lovely, well packaged and worth every penny. That said, they also sell the molds inexpensively so I ordered a couple to see if I can make them at home. I'm eager to see how they turn out! It's something that makes my heart beat faster: coffee in desserts. And no, I'm not talking about the side-effects of caffeine. Latte this, cappuccino that - I blog about it more than necessary (see here, here, here and here) and I'm always trying to sneak coffee into any chocolate dessert I make. Crisp butter cookies dunked in strong coffee is a favorite flavor combination of mine, and it's the inspiration for this cake. 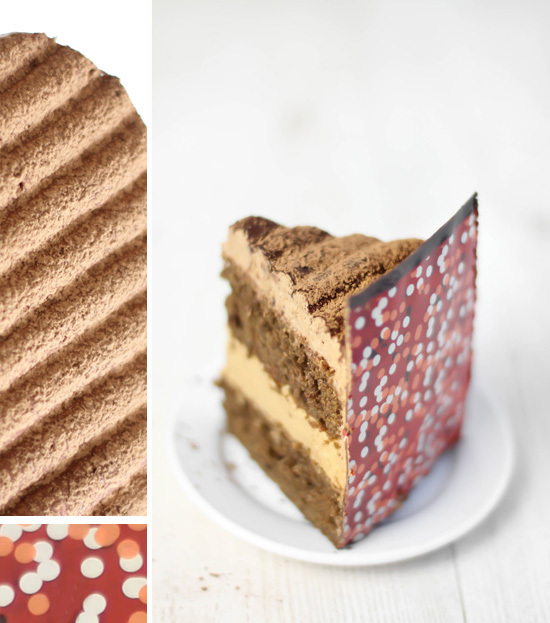 Espresso cake layers are filled with Biscoff buttercream and the entire cake is frosted with Mocha-Biscoff icing. 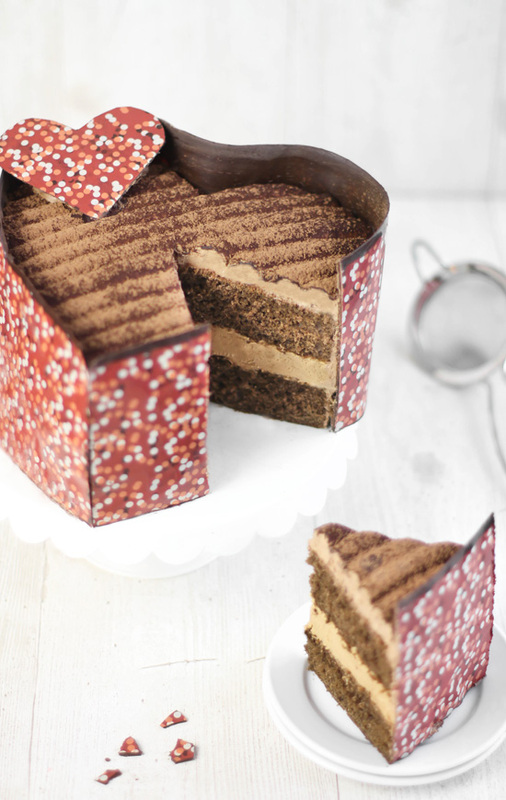 I wrapped the cake in chocolate with the help of a decorative chocolate transfer sheet.